They don't really make them like Spiritualized much these days, and they didn't really make them like Spiritualized much back then either. Thankfully, Spiritualized still make them like Spiritualized. Except: this time around, Jason Pierce, he who is Spiritualized, didn't really make it in the same way that he used to. Not in terms of the recording process, that is. Pierce -- a man with a musical mind steeped in rock's classics, who has made the spaciousness of a big recording studio an integral element of his band's sound, and who has a tendency of playing sizeable venues with a full band and a few gospel vocalists surrounding him -- recorded much of his latest album alone. In his home. On a computer. And Nothing Hurt is a very unlikely kind of bedroom laptop album. How do the wide-eyed vision and open-armed stretch of Spiritualized survive crammed into a small room? Quite well, it turns out. Pierce did have to head into a real studio to record less portable instruments such as the timpani drums, but otherwise, he was left to his own devices; devices that were foreign to a former adherent of analogue. In recent interviews, Pierce has spoken openly about how exasperating the process of recording And Nothing Hurt by himself could get. The thought alone of spending months on end just twiddling Pro Tool's knobs is exhausting, but, for not being a digital native, it appears he gradually learned the language well. 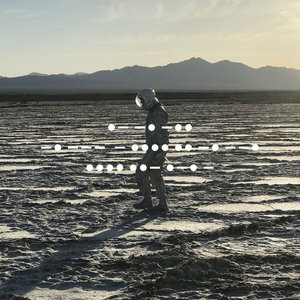 Aside from moments such as the quiet ukulele strum that begins the buoyant, yearning opener "A Perfect Miracle", the finished product here projects the sonic heft of almost any other Spiritualized album. Economic reasons played a part in Pierce's decision to record And Nothing Hurt upstairs at home, and there is another sense of economy that runs through the album as well. Coming in at nine songs in 48 minutes, its relative brevity among the Spiritualized catalog is comparable to Amazing Grace from 2003. Time and track totals don't accurately convey the weight of this album, however. And Nothing Hurt is a remarkably efficient record, a concise display of Pierce's songwriting, a kind of greatest hits of the greatest merits of Spiritualized. The recording process was a leap into the unknown, but the album itself is not. Familiarity was once a commonly used critical indictment (and sometimes still is), but in the case of Spiritualized, with long players coming fewer and farther between as the years tick by, it has become a purely welcome quality. Listening to And Nothing Hurt can feel like going home again: the gentle Brit-blues guitar that introduces the sing-along single "Here It Comes (The Road) Let's Go", the swirling freak-out of "On the Sunshine", the elegant use of gospel vocals on the vintage closer, "Sail on Through". Through it all, the feeling is one of refinement, not repetition. There is somehow more than enough room for nearly eight surging, honking minutes of "The Morning After", the graceful love-ballad waltzes of "A Perfect Miracle" and "The Prize", and the Abbey Road vibe of "I'm Your Man". All the frustration that Pierce felt over the course of putting together this album hasn't clouded the music. On the contrary, the songs, structures, and transitions all come and go natural and easy. The mood throughout continues the trajectory of uplift that characterized Sweet Heart Sweet Light six years ago, his lyrics here inflected with traces of un-tormented love and hard-earned zen. "C'mon baby, let's dance / C'mon darlin', let's dance," Pierce suggests as "Let's Dance" slowly lifts off, bells ringing, and lasers guiding the melody, nothing less pure and simple on his mind.